You don’t have to look far to find examples of large, well-known organizations heading down the digital transformation path. 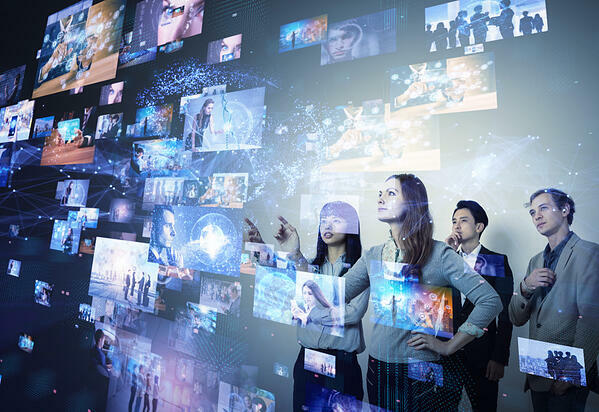 One of the best examples of a successful digital transformation I have seen would have to be Netflix who started off as a mail-order video service and successfully transformed themselves (and their competitors) into an entire video streaming industry. McDonald’s recent acquisition of Dynamic Yield is yet another example of an industry’s quest to digitize their processes (think kiosk ordering and personalized fast food menu options.) All the while, Nordstrom is leading the way in the retail industry, by working around the clock to come up with ways to automate the high-end retail experience. This all sounds great, exciting even! But while transformations like these may make strategic sense for an organization, they can undoubtedly be time consuming and complex. Many don’t turn out quite the way the organization expects. In their recent article, Plenty Of Digital Transformation, But Not Enough Strategy, Forbes Magazine cited a survey of 450 executives by Celonis that found 70% of the organizations surveyed intend to invest in digital transformation. Yet, almost 80% admitted they did not review their internal processes before setting their transformational goals. In fact, 45% of the executives surveyed said they really have no idea where to even begin and 44% of C-suite executives admitted in the end their efforts were a complete waste of time. Minor or what I like to call, “Business as usual” changes consist of minor alterations to the Frame of Reference (FOR). 1st Order or “Doing the same things, but a little better, faster, cheaper” changes are major alterations to the existing FOR. 2nd Order change involves doing new things, in different ways than ever before. In other words, the old FOR is no longer adequate and must be broken down and a new FOR must be created. Digital transformation is 2nd Order, frame-breaking change where people, processes and technology will all be impacted. In fact, an entire new mindset is going to be needed, which inherently means digital transformation is equivalent to a culture change. Committed Leadership - In my consulting work, when someone tells me they are undergoing a transformational change, one of the first questions I ask is, “How committed are your senior leaders?” Digital transformation, like any other transformational change has a scope and complexity that will typically take 3 to 5 years to fully implement. This means senior leaders need to commit to keeping it at the top of their priority list for the full implementation life cycle. If that isn’t going to happen…neither is the transformation. Active Sponsors - Not only do leaders need to keep the transformation a priority, they also need to be prepared to lead differently. Leaders must recognize having a good idea or strategy is only a small part of their accountability. They must be accountable for full implementation as well. In fact, the actions of the Sponsors are the most important factor in getting any change implemented at speed. Skilled Change Agents - Change Agents who can support and are responsible for the culture change need to be selected and trained. If you have too few Agents, or don’t have credibility and influence in the right areas of the organization, your chances for success will be minimal. New Reinforcements for the New Behaviors - No culture change is possible without changing the formal and informal Reinforcements that are ingrained as your current “success pattern.” In other words, there must be a fundamental change in how people are reinforced for the new, desired behaviors. Digital transformation is certainly exciting. I love the idea of ordering dinner from an App and having it delivered by drone while I binge watch my favorite TV show. But, to be successful in a digital transformation journey, organizations need to properly prepare for culture change. Are you planning to enter the digital transformation race? What is your plan to survive?